For some of us, 2019 is all about finding a second income or even a change in career. Luckily there is plenty of readily available opportunities for the short-term rental sector. The concept of short-term rental isn’t new, but it has been reimagined to the point where it’s unrecognisable now. And with the rise in demand for various online platforms that provide people with more short-term rental options, the industry is growing. This level of popularity has seen an influx of new landlords, and it’s a relatively easy business sector for entry-level entrepreneurs. Whenever we choose to store something, it’s important to consider two crucial factors before you start packing it or them away. The first is to ensure you select reliable removal and storage provider like WH Cox & Son. A spotless local reputation is a sure sign you will receive an impeccable level of customer service. 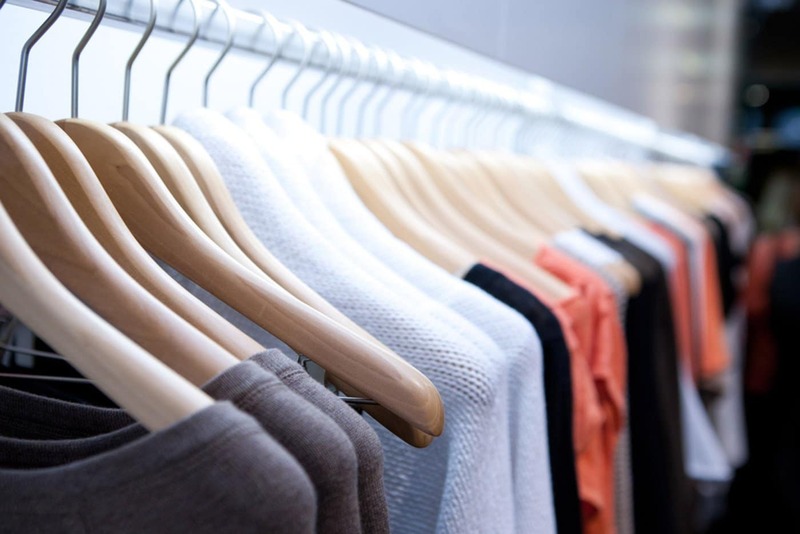 The other thing you should consider is the exact type of item you plan to put in storage. Now that the festive season is over you might have a lot less space in your home, which means that the loft and garage are being prepared for more boxes. Rather than start 2019 with the same bad habits of cramming as many possessions into any available space, it’s time to change things up. While they can serve as storage spaces, your garage and loft shouldn’t become a dumping ground. This year make your New Year’s resolution to organise your home to create more space for living. If you own a company and you’re considering relocating to a new property or area, it’s usually because of space issues or lack of storage options. And if you have your mind set on changing things up, it’s crucial that you get everything you need out of your new building. That includes enough room to improve your productivity, plenty of storage space, as well as essential amenities for your staff. When it comes time to start putting some serious organisation into your relocation, make sure you book with a reliable removals company. Finding the right removals service for your upcoming relocation isn’t as complicated as you might think.There are lots of companies that do removals, but only a handful that can offer excellent customer service. You can go online and have a look around to see which companies operate in your area in Surrey. And then check out their online reviews to find a suitable company for your upcoming relocation. Anyone who has recently completed moving will no doubt be able to give you an idea of how much work goes into it.For many people, once the last box is empty, your relocation is over. And rightly enough, you put it to the back of your mind. However, in another year or a few later, we’re back again. Ready to start planning and organising our upcoming relocation in Surrey. Except for this time – we’re going to start the preparation a bit early. The WH Cox & Son team move hundreds of people in Surrey every week, and a piece of advice we give out daily is to start early. If you start listing your tasks now, it will be much easier to take your time when completing them. This is also an excellent way to give yourself some breathing space if any small issues occur. Remember – you have plenty of time to sort thing out, because of your preliminary work months in advance of your moving date. The best way to avoid relocation chaos is to start your organising and planning now. Make a list of everything you need to do for your big move. You’ll most likely revise and add to it as you get closer to the day of your big move. The main thing is to start organisin gas much as possible at least two or three months before the week of your relocation. You can use a blank calendar to mark the date of your relocation and work backwards from then to the present time. Then, you can then work out what tasks you can do now, and which ones happen closer to your move. Things like packing and informing your utility suppliers of your relocation should be done in the week before or the final week. Contacting us to book your removals can happen as soon as possible. If you can do at least one or two things every week leading up to the moving day, it’s more likely your relocation will be smooth sailing. 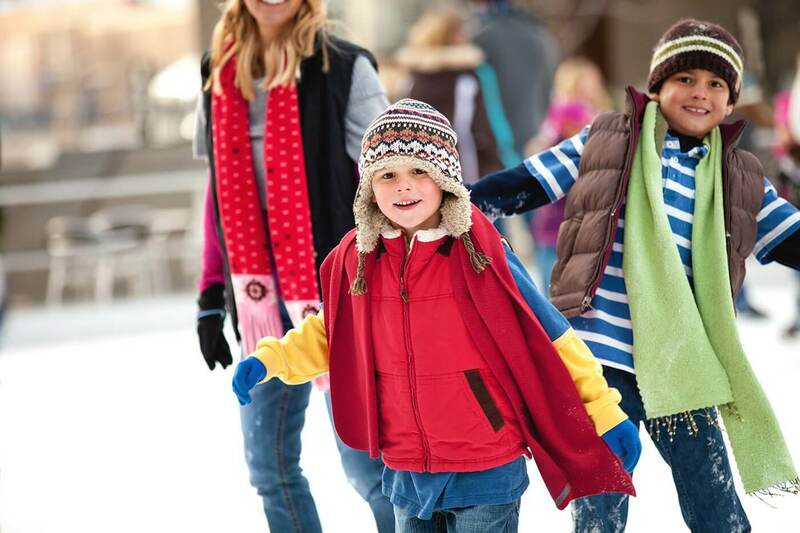 Remember to get the whole family in on the tasks – you need as many helping hands as possible. And if you’re relocating with a lot of possessions, contact a few friends as well and offer to feed them for their efforts. At WH Cox, we make sure we match the right removals service for your needs. This is done by thorough assessment of what’s being moved and where. When we know the volume of items, we can assign the correct removals vehicle. Then we will plan out the best day for your move and the most efficient route to use. For smaller loads of furniture and appliances, we tend to use Man & Van service in Surrey. This service is also more suitable for relocations that are a short distance apart and moves from one part of a city or town to another area. The smaller vans are easier to navigate through traffic. It can also be more efficient to park and load the smaller vans. If you’re moving out of the three or four-bedroom house, the choices are between undertaking multiple pickups with a man and can service or to do it all in one go. Our Home Removals service utilises the larger removals vehicles and has the capacity to pack and transport more items. This makes it possible to relocate all your possessions in one move. 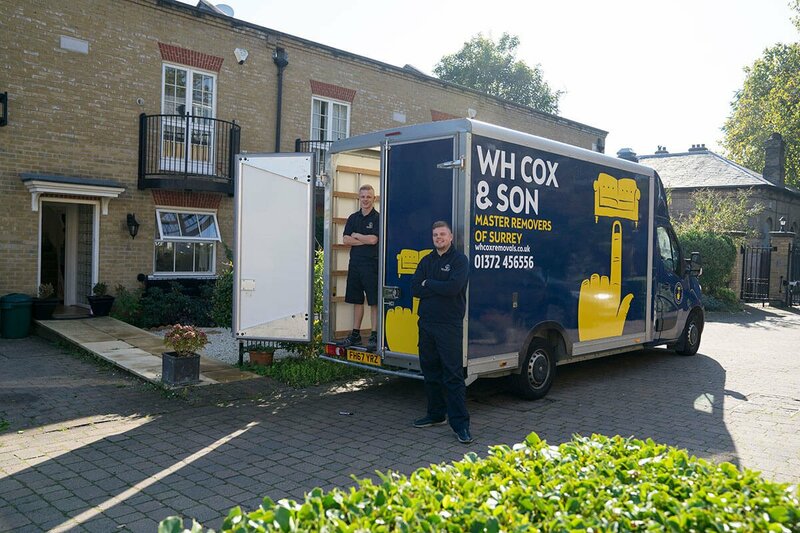 WH Cox & Son dedicate everything we do to make sure you receive the right removals service for your needs. Customer service is the foundation of our business, and it influences the way we approach our core packages. We always create and deliver our removals and storage services in a way we would like to receive. 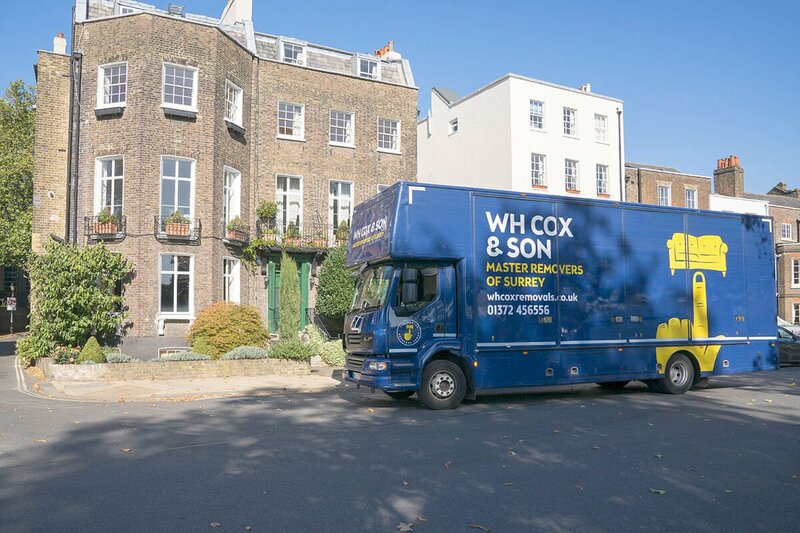 The WH Cox team moves thousands of people in Surrey and the surrounding areas every month. We make regular relocations to London and other major cities and towns nearby. Our team encourages feedback to help us measure our performance and make any necessary improvements. The soundest piece of advice we can give anyone who’s moving is to start early. It’s crucial to start planning now to help make your move run smoothly. You’ll be able to tackle and amend any minor issues before they cause any undue delays. And the WH Cox & Son team are here to assist you in any way we can. If you want to discuss our range of removals services, contact us today. 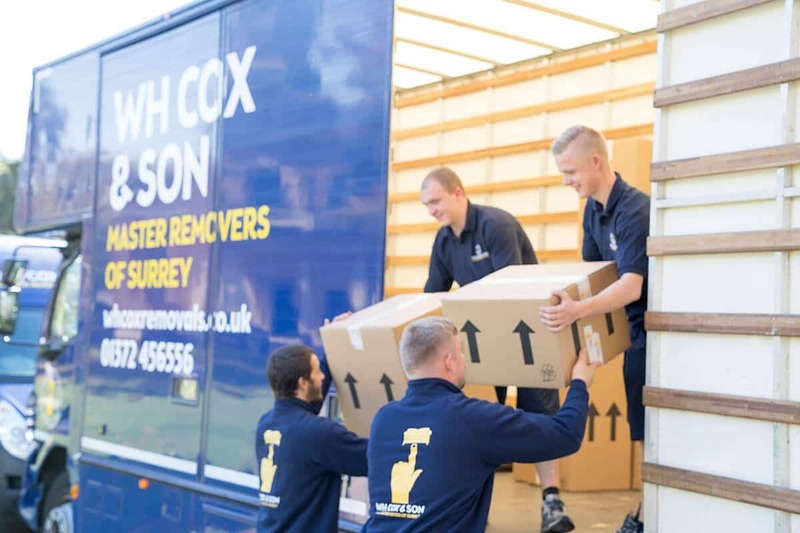 WH Cox & Son – Surrey’s favourite removals and storage provider. For a lot of ambitious young people as they leave college or university, their career path and drive points in London’s direction. London is where the major economic and business decisions are made and where innovation happens. New sectors and companies begin their life here, and it’s where everyone who wants to make a name for themselves gravitate towards. And it’s more than just business. The vibe and energy that thrives in London is all part of the experience. We all have different needs when it comes to living spaces and storage requirements. Even if we live in a three or four-bedroom house, we all find times where we need to create more space.This is where container storage becomes an ideal solution for your space or storage issues. Just by renting one basic storage container, you can free up an entire room’s worth of space. 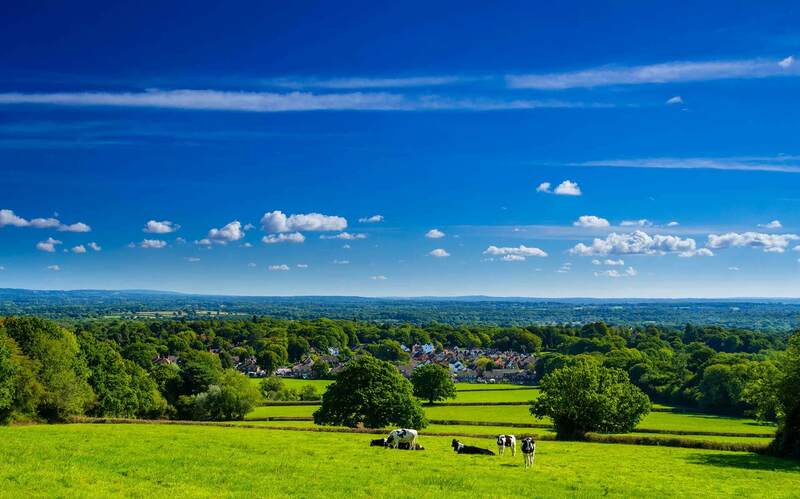 WH Cox & Sonprovides storage for customers from all over Surrey and the surrounding areas. And one of the aspects that makes storage so appealing is the additional level of security against theft or damage to your possessions. There are many different uses for container storage, for home and business customers in Surrey.